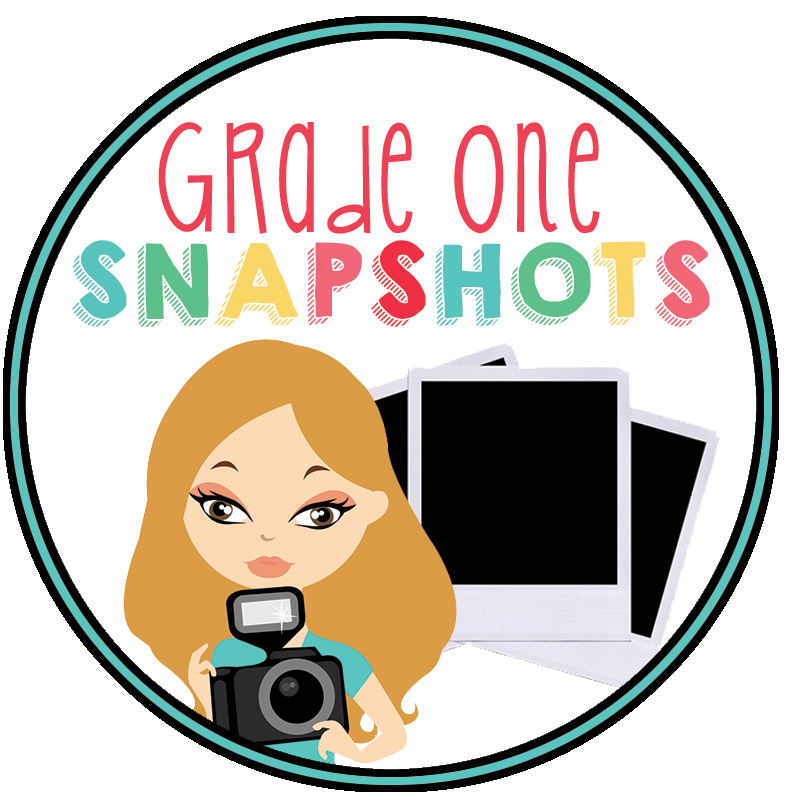 I can't wait to share my latest creation! I have completed my first ocean animals mini-unit. 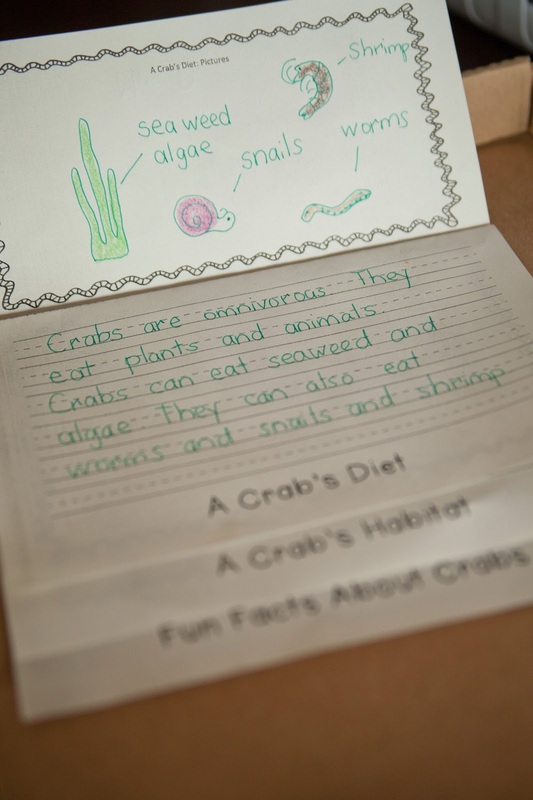 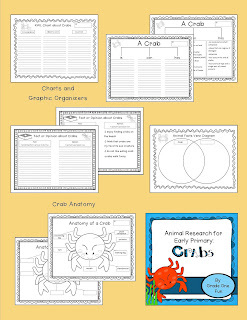 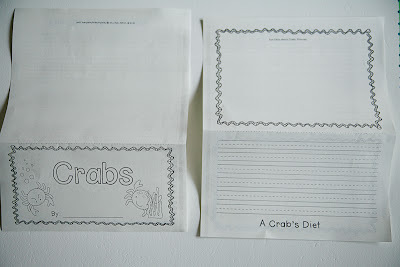 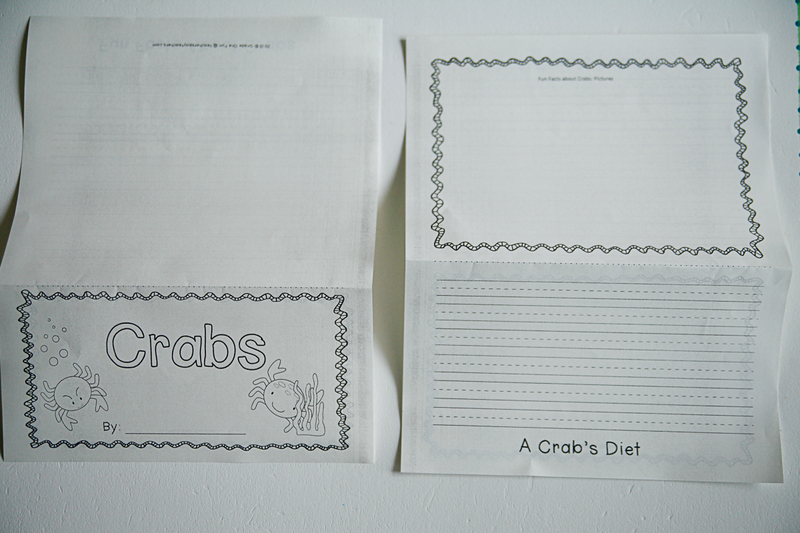 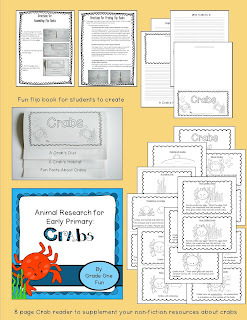 Your little learners will have so much fun learning about crabs and they will record their learning in a variety of entertaining ways! 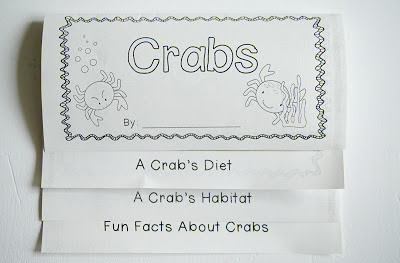 My personal favorite is the little flip book that they can complete. 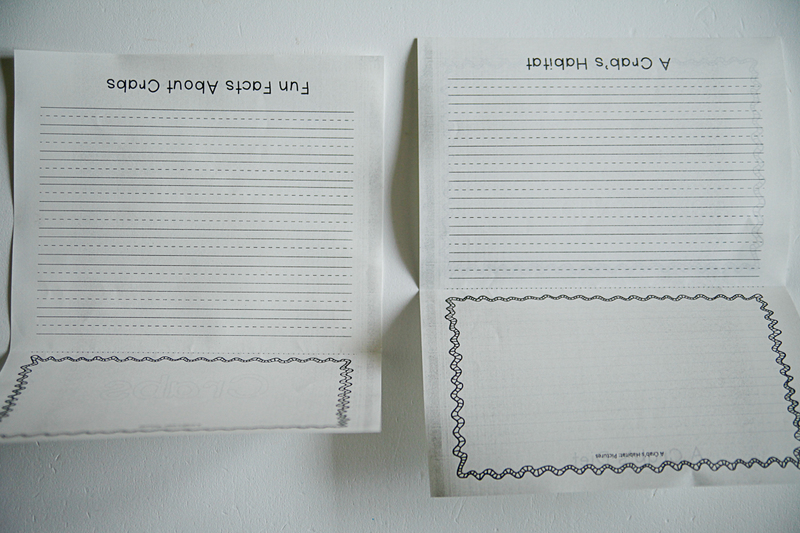 In order to make the flip book, you simply need to print the pages back to back, ensuring that each reverse page is printing "upside-down." 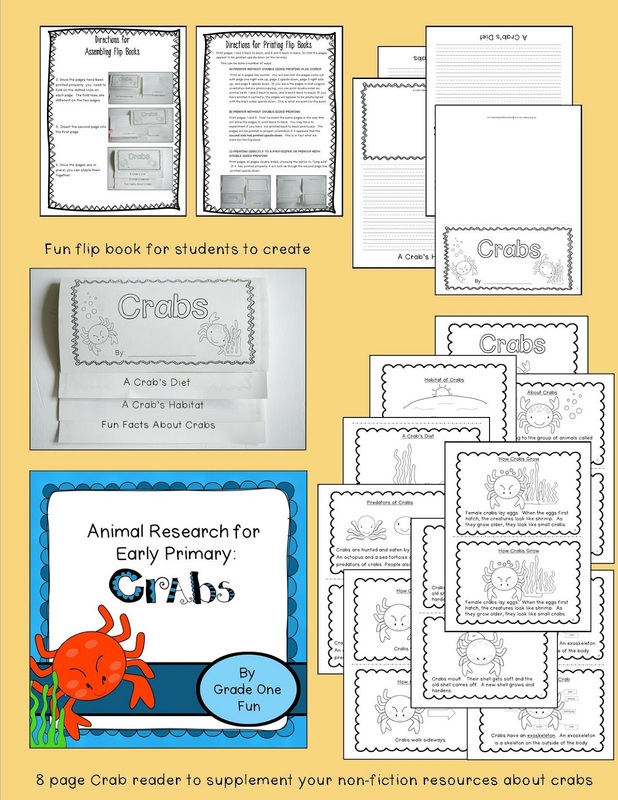 Then, you slide the inner pages inside of the outer pages, staple, and the book is ready to be filled in with a student's research! 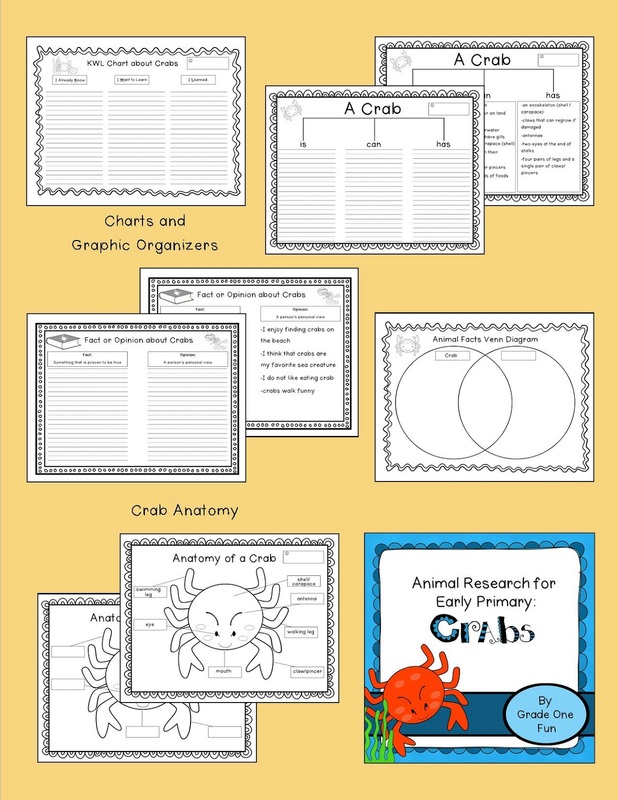 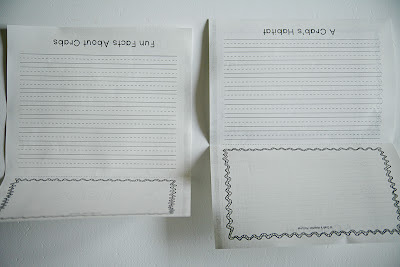 Also included in the unit are graphic organizers, a mini book to read, and more!